We’ve started to expand our site a bit more, and the first step was to start covering topics that relate to women’s hair loss. This article focuses on the best shampoo for hair loss female products- it’s the perfect place to start. When someone mentions hair loss, your mind probably goes to the stereotypical image: receding hairlines, bald spots, bad combovers, and flyaway toupees. And we almost always imagine a man as the poster boy of hair loss — maybe it’s the effect of decades spent watching Rogaine commercials. But we don’t spend as much time pondering the plight of hair loss among the women of the world. On this page, you’ll find our suggestions for the Top 11 best shampoo for thinning hair: women specific. We’ll also cover the basics of women’s hair loss, and some common causes of it. Need a new wash, rinse and repeat routine to mend thinning hair? Check out these ten best-selling shampoos for mitigating hair loss. What is the best shampoo for thinning hair in women? Let’s take a closer look. VoluMedic’s system is a three-step regimen, including a shampoo, conditioner, and scalp-stimulating treatment. The system is ideal for women experiencing menopausal or postpartum hair loss, as it stimulates growth and thickness of hair. VoluMedic Trio is also a great option for the environmentally conscious or those who prefer natural to chemical solutions. The thickening system contains a total of 17 botanical ingredients. And the leave-in scalp treatment is heat-safe, so you don’t have to worry about the treatment interfering with your usual styling routine! Bumble’s line of haircare products emphasizes healthy hair, whether you’re the wash, air-dry and go type or you blow dry and curl your hair every day of the week. Their thickening volume shampoo contains Pro-Vitamin B5 and Acetamide MEA to balance moisture and add volume while keeping hair happy and healthy. Another attractive feature of Bumble & Bumble’s thickening volume line is the complete range of available products. Bumble offers a conditioner to go with their shampoo, as well as an after-wash treatment, thickening hairspray, thickening heat-styling creme, and more. The variety of products makes Bumble & Bumble one of the best shampoos for thinning hair in women, regardless of age or hair texture. The thickening hair treatment line for women that DS Laboratories makes is the real deal. They have recognized the data showing that women deal with hair loss and thinning — and have decided to do something about it. This shampoo product is designed for both men and women’s hair loss. Featuring ketoconazole, an ingredient known to aid against many types of hair loss and ingredients like biotin, caffeine, and ginseng to stimulate the scalp, this shampoo encourages hair growth and will likely lead to more volume. Try it with their conditioner and other products, such as Spectral.DNC-N for the best results. Biotin and collagen are the buzzwords for Ogx’s hair thickening shampoo. The combination makes sense; after all, hair, skin, and nail supplements often boast those two ingredients. Biotin and collagen help thicken hair and may promote hair follicle growth. This shampoo is widely available at drugstores and big-box retailers, so it’s easy to pick up with your groceries or prescriptions. Ogx’s price point is also an attractive feature for this hair thickening shampoo; you can find a two-pack of the 13-ounce bottle for under twenty dollars on Amazon. Nioxin divides its treatment systems into six options. Systems 1 and 2 are for natural hair; Systems 3 and 4 for colored hair; Systems 5 and 6 for chemically treated hair (i.e. straightening or perm treatments); and 1, 3, and 5 are for light thinning, while 2, 4, and 6 are for progressed thinning. The targeted systems make Nioxin’s shampoos some of the best shampoos for hair loss in women. Each treatment option works by removing residue from your scalp and hair that might impede healthy growth. One of the types of residue it targets, called sebum, contains dihydrotestosterone (also known as DHT). DHT is a leading cause of androgenic alopecia; you might know it as male or female pattern baldness. DHT may miniaturize hair follicles and restrict hair growth in the otherwise healthy men and women suffering from pattern baldness. Like Nioxin, Pure Biology’s Hair Growth Stimulating Shampoo works to create the healthiest possible environment for your hair to thrive. It uses biotin and keratin to achieve results, strengthening the hair shaft and stimulating the follicle. Pure Biology’s hair loss products also feature proprietary ingredients called 3HC and Amino Kera NPNF. 3HC is a botanical formula thought to target the cells responsible for hair follicle development. Amino Kera NPNF is a blend of amino acids included to promote hair strength. Ultralax Labs’s Hair Surge shampoo contains a secret weapon: caffeine. The caffeine compounds in this shampoo stimulate hair follicles to encourage growth. Essential oils nourish the hair, while ketoconazole acts to nourish the scalp. You may know that last ingredient as an anti-fungal, but it’s also effective in treating dry and scaly skin in topical applications. A few cups of coffee can whip anyone into a caffeinated frenzy– imagine how much a little caffeine can help liven up your hair! Ultrax Labs also offers a conditioner and leave-in treatment to complete its caffeinated line. Amazon’s #1 best-selling hair regrowth shampoo contains most of the greatest hits of hair loss treatments. Among its ingredients are biotin, provitamin B5, zinc, and coconut oil. The all-natural formula moisturizes and nourishes hair, removes impurities and residue, and strengthens hair to promote healthy growth. Honeydew’s shampoo is also hypoallergenic, sulfate free and paraben free. It’s gentle on your hair, and at under $12 a bottle on Amazon, it’s a great option for customers on a budget. Laritelle’s shampoo comes in two varieties: Diamond Strong and Silk Velvet. Both stimulate hair growth and work to prevent future hair loss with a whole range of natural ingredients. Argan oil and jojoba oil balance your hair’s natural oils and moisturize, while antioxidants help hair keep its color — important to women who color their hair and those letting it gracefully gray! Laritelle shampoo also contains silk proteins to make hair lustrous and trap moisture. Argan oil and argan stem cells are the secret ingredients in Andalou Naturals’ age-defying shampoo. Formulated for those battling age-related hair thinning and loss, the shampoo strengthens hair and provides nourishment. Andalou Naturals focuses on fruit stem cells to provide their shampoos with an extra boost. 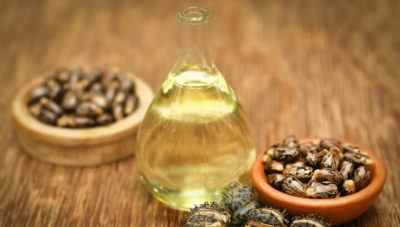 Argan stem cells act as a natural antioxidant, cleaning the scalp gently to keep hair follicles healthy. And because of its all-natural formula, it won’t irritate sensitive scalps — a common complaint as people grow older and skin becomes more sensitive overall. Keranique’s shampoo goes after DHT in your scalp before it can cause your follicles any damage. That, combined with amino acids and keratin, gives your follicles plenty of room to breathe. Keranique’s scalp stimulating shampoo is a good option for someone experiencing mild thinning or wanting to prevent future hair loss before it starts. Combined with the volumizing keratin conditioner and Keranique’s hair regrowth treatment (specifically formulated for women), it can keep your hair looking great so you never have to worry about hair loss down the road. Shapiro MD was co-created by dermatologists Steven Shapiro M.D. and Michael Borenstein M.D. PH.D. It contains a bunch of DHT blocking ingredients such as caffeine and saw palmetto. Another special ingredient is EGCC (a key active component in green tea) that helps inhibit 5-alpha reductase and reduce androgen action. This product is also backed by Shapiro’s 60 day risk free money back guarantee. Shapiro MD features a couple other products in their lineup. They sell a conditioner product to use in combination with their shampoo as well as a minoxidil 5% liquid that can be used as a supplement to their shampoo and conditioner. The fact is, forty percent of the women in America will report some hair loss by the age of 40. Many of the causes are similar to those of male hair loss. A woman might suffer hair loss as a result of male or female pattern baldness –women experience it less often but are by no means immune. Women might also suffer hair loss as a side effect of a major medical event such as chemotherapy or surgery, or simply from an overabundance of stress. The best shampoo for thinning hair women can use to help counteract the side effects from these causes. But there are some causes that women alone experience. Fluctuating hormones after childbirth can cause hair loss. Some women experience hair thinning and loss during menopause. A woman may even notice hair loss because she regularly pulls her hair into a tight bun or braid, causing localized trauma to the follicles. Many women will consult a dermatologist when they notice that hair isn’t quite as voluminous as it used to be. After all, we love our hair — it’s embarrassing to men and women alike when it doesn’t look like it should. Psychologists agree that hair loss can be a blow to your mental health and self-esteem, and some argue that hair loss can be more traumatic to women than to men long-term. If you notice severe hair loss over a short period of time or missing clumps of hair (called alopecia areata), you should always make an appointment with your doctor. Severe, rapid hair loss may require a prescription shampoo, medication, or steroid treatments to ‘reawaken’ those dormant hair follicles. Your dermatologist or primary care physician can give you a diagnosis and find the best solution for your situation. But our hair can thin because of age or hormonal changes, too, and it’s a common problem. Even if you visit your dermatologist, he or she may suggest buying a specially-formulated shampoo on Amazon before you involve prescription shampoos or medications. By using the best shampoo for hair loss women can benefit greatly. You can treat mild and moderate hair loss with some of the best shampoo for female hair loss, and you won’t have to step foot in a dermatologist’s office unless you just want to have a friendly chat!